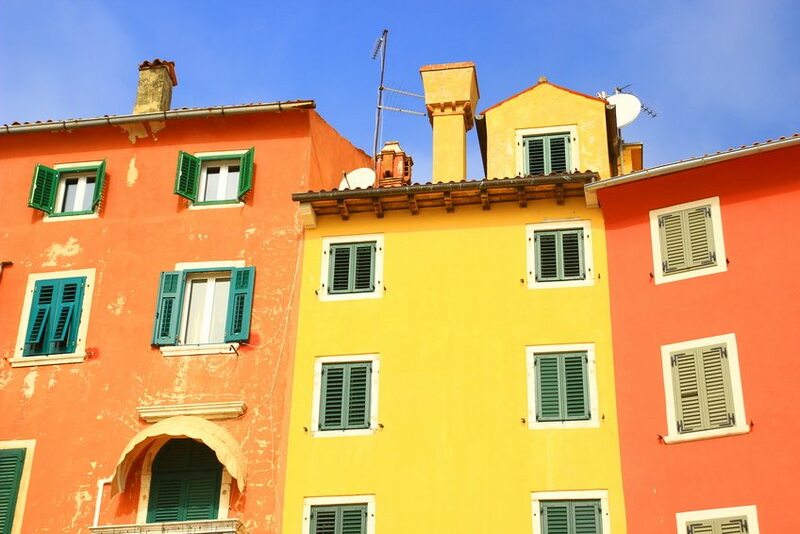 Here are some things to consider when buying property in Croatia. If you are eligible to purchase property in Croatia (if not, you can most likely still purchase property via the company route), check either with property agents or with a property finder/consultant firm to just get a feel of what is available and at what price. We strongly urge prospective purchasers not to rush and to inspect all suitable properties before making final decisions. We have been told by several Croats that the best time to look for property on the Adriatic Coast is after the main tourist season is over: September, October and November, or in Spring (April or May). Our advice would also be that after selecting an area or location, you should go and stay there for a period of time (from one week to a month) to get a good feel of the locality, environment, people, transport links and so on. We feel that for a non-Croatian speaking foreigner, the easiest route to purchasing a property is to either go through an agency, who are likely to have staff who speak a foreign language such as English and who have probably had foreign clients in the past. Alternatively, there are a few specialised consultancy or property finder firms who will act for you. They will search, advise, negotiate and see through to completion your acquisition. Their advice is impartial and unbiased. This is a useful service if you don’t have time to speak to agents or prefer to deal with one contact, and need a hand in guiding you through the complex property procedure. If you want any additional information about the purchasing process, please check out our Property in Croatia forum. Your query may already be there – if not, post it up! Wherever you settle, you are more than likely to find some English speaking people. For example, in Dubrovnik there is a small community of English people, including a family we know who settled there 20 years ago who, at that time, were a couple in their early-50s with four teenage children (who are now all married to locals and have own children!). The parents absolutely love it there and are full of praise for the city itself and the country. In many other coastal places, you will likely find an English person or two. Certainly the younger generation tend to speak pretty good English (having learnt it at school). Most people involved in the tourism industry speak at least some English. We also have a Living and Working in Croatia forum; again, peruse it and leave any questions you might there. Croats are friendly and decent people. It is highly unlikely that you will be unwelcome or taken advantage of in some way. But common sense tells you to always get advice from either somebody you know well or your estate agent before making decisions such as getting builders, buying furniture and so on. Good luck with buying property in Croatia!